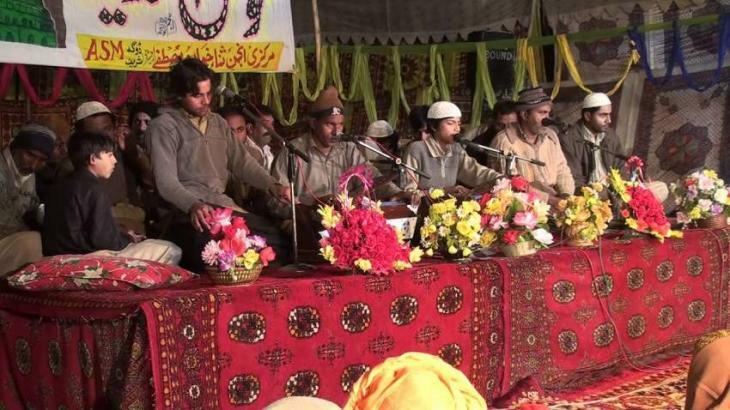 KARACHI, (UrduPoint / Pakistan Point News - 17th Apr, 2019 ):Three-day annual Urs celebrations of Sufi Saint Pir Saddaruddin Shah will start on April 19 (Friday). A meeting chaired by Commissioner Sukkur Rafique Buriro at his office here on Wednesday, reviewed arrangements for the Urs celebrations. Consultant department and officers from SEPCO, PTCL, Revenue, Auqaf, agriculture, livestock, education and revenue departments as well as the officials of the TMA attended the meeting. The Commissioner said that police personnel with latest gadgets such as metal detectors, walk through gates and close circuit cameras would be deployed at important venues. SSP Sukkur Irfan Ali Samo told the meeting that a foolproof security plan has been prepared for the Urs. The Commissioner Sukkur said that the taluka municipal administration concerned would be responsible for maintaining cleanliness, supply of drinking water, sewerage system, street light, signboards, water Sabeels and provision of fire-brigades. He also directed the management of the SEPCO to exempt Rohri from load-shedding during the Urs celebrations.